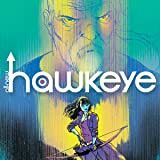 Collects All-New Hawkeye (2015B) #1-6. Hawkeye and Hawkeye take aim at another season — but this time there's a twist! 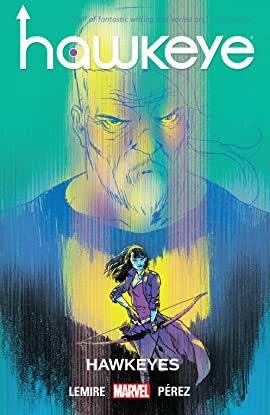 Arrows fly in two eras as a deep-seated rift stretches across time, bringing old man Clint and a wiser Kate back together to chase down mistakes from their past. But as the reluctantly reunited members of Team Hawkeye struggle to rebuild their trust, their mission brings them face-to-face with the Mandarin! Meanwhile, today's Clint finds himself estranged from his partner and paying a visit to his big brother, Barney. What makes a hero and what breaks a hero? Find out as Hawkeyes clash in a turbulent trip down memory lane that takes them back to the future!